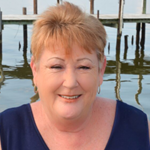 Hello everyone, I have lived in King George County since 2004, which is when I became a REALTOR. I was born in Miami Florida, and moved a lot. I met my husband who is retired Navy and we moved a lot more. We have 2 beautiful grown children and 2 dogs Roscoe and Romeo. They are brothers and we call them “the boys” As a REALTOR my number one priority is helping people. Whether you are buying or selling I am here to help you through the entire process. I incorporate modern technology in my business, emails, texting, facebook, twitter, websites and more to help you through this process. If you are selling I will have professional pictures taken and a virtual tour of your home done. This will be displayed on numerous sites like You Tube. If you are buying I will make sure you get up to the minute listings. I also am very big in giving back to the community. I volunteer for a charity called Visualize and Rize, whose mission is to support youth sports and education. This is very close to my heart. My son played football all through school, and I was team Mom all the way thru. Football and being a REALTOR are very much the same. It takes TEAMWORK to make that big score. Let me put my passion for the game and make sure your family get’s that ‘W” Call or text me to talk about the strategies we can use to help you buy or sell your home.